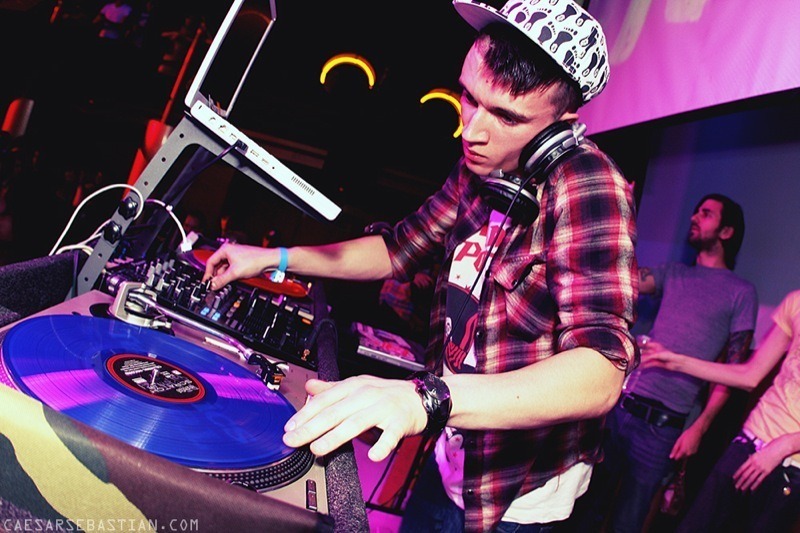 If you have ever heard a DJ set, you couldn’t help but notice how smoothly each track transitions into the next one – without gaps or changes in tempo. Why not simply put on one record after another, as they do it on the radio? The thing is, the DJ doesn’t want the dancers to hear a track end because that may cause them to come to their senses and realize that they’re actually a bit tired and it’s time to go back to their cocktail. With one track blending into another and another and another, you continue dancing into the next song without even noticing it. It’s too late to go anywhere now! Dancefloor psychology aside, let’s talk about how the DJ actually makes a transition from one track to another. As people on the floor are dancing to a record, the DJ is busy preparing the next tune on the other deck. Using pitch control, they adjust the track’s tempo to match that of the currently playing tune. When record 1 approaches its ending, the DJ starts record 2 and makes sure that the two tracks’ beats are aligned. Then they gradually increase record 2’s volume so the dancefloor can now hear both tunes playing in sync. As they’re bringing track 2 in, the DJ is turning down the volume of track 1 bit by bit. After a while, it’s only record 2 that’s left playing on the floor. The blend is complete. Hear how the track smoothly blends into the next one? The pros make transitions between individual records almost unnoticeable so they sound like one continuous track. 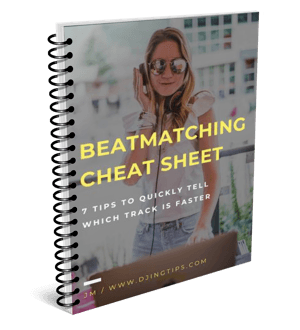 This is called mixing, and the behind-the-scenes prerequisite where the DJ matches the tempo of a track to that of the currently playing one is called beatmatching. Mixing is one of the most important DJing skills; it provides beautiful packaging for the DJ’s musical taste and the selection of tracks played.